Facts of Deatrich Wise Jr.
Deatrich Wise Jr. is an American professional football player who plays in the National Football League (NFL). 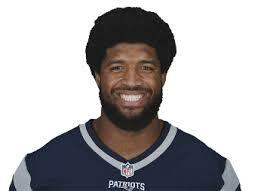 As of 2018, Deatrich Wise Jr. currently plays for the New England Patriots as their Defensive end. Deatrich Wise Jr. has played for the team since 2017. As a Defensive end, Deatrich Wise Jr. reportedly earns around $645,000 as his yearly salary from New England Patriots. Further, Deatrich Wise Jr. has an estimated net worth of over $1.5 million. Deatrich is currently in a romantic relationship/affair with his girlfriend Chanell J. Clark-Bibbs. Deatrich Wise Jr. was born on July 26, 1994, in St. Petersburg, Florida to parents Deatrich Wise and Sheila. As per his nationality, he is American and belongs to the Mixed ethnic group. Wisw Jr. family is very much caring and supportive of his NFL career since his father is also a former NFL player. Deatrich Wise Jr. attended Hebron High School in Carrollton, Texas and later joined the Arkansas University to play football there. As of 2019, Deatrich Wise Jr. has an estimated net worth of over $1.5 million which is equal to that of Sean Mannoin. Wise Jr. reportedly signed a four-year contract worth $2,980,560 with New England Patriots in 2017. Furthermore, the four-year contract includes a $575,880 signing bonus, $575,880 guaranteed, a cap hit of $790,140 and a dead cap value of $290,280. In addition, the NFL player has an average annual salary of $645,000. Deatrich Wise Jr. has so far earned $2.5 million from his entire career in the NFL. 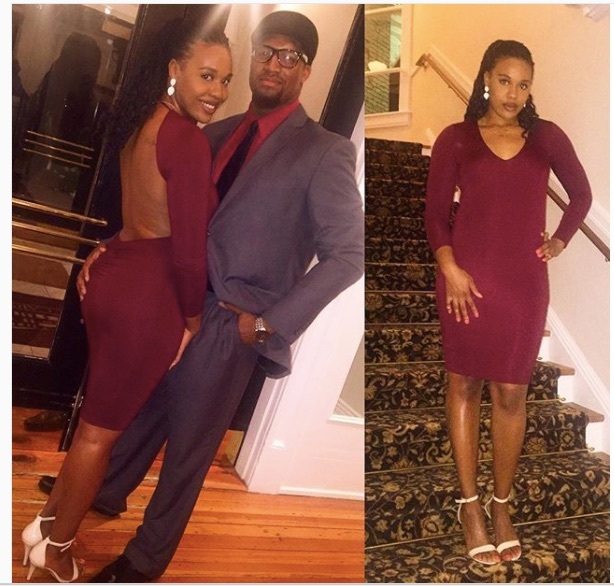 Deatrich Wise Jr. is currently dating his girlfriend Chanell J. Clark-Bibbs. The couple started dating in 2014 since they attended same college. Deatrich's girlfriend is a former volley player for the Cypress Falls high school and she also played for the University of Arkansas and Georgia Tech. Chanell was born to parents Kathy Clark and Harry Bibbs on April 3, 1994, in Houston, Texas. Besides, she has two sisters and a brother and completed her graduation in 2016. So far there is no news confirming that they are married/engaged on media. They might be planning to get married soon. Deatrich Wise Jr. is not only a famous NFL Defensive end but also quite famous in social media. The famous NFL star has a height of 6 feet 5 inches and weighs about 125 kg. Deatrich Wise Jr. is not only an athlete of world-class but also an attractive person. Deatrich was drafted in the 2017 NFL Draft by the New England Patriots and signed a four-year contract with it. Before being drafted, he was invited to play in the 2017 East-West Shrine Game. Wise impressed scouts during shrine game practices, according to NFL analyst Mike Mayock, and possibly raised his draft stock. Besides Deatrich, another popular defensive end player of the Patriots is Adrian Clayborn. Football Player New England Patriots National Football League (NFL) 2017 NFL Draft Defensive End Deatrich Wise Jr. 2017 East-West Shrine Game.